The guards finished lowering their prisoner into the octagonal pit. Gemen guessed that at least three hundred now looked on as the woman, very much alone, paced back and forth with restless, furtive energy while a bored-sounding magistrate, above, read out a host of generic accusations. Immediately four ladders snaked down, and as Velori planted herself in the center, four warriors slid down and advanced, their heads encased in bestial masks of iron and leather, inlaid axes at the ready. 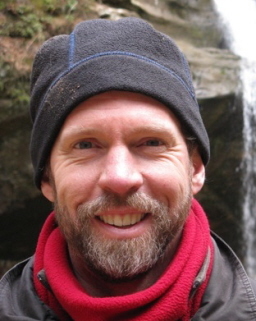 Mark Rigney is the author of the plays Acts of God and Bears and winner of the 2012 Panowski Playwriting Competition. His short fiction has been nominated for a Pushcart Prize and has appeared in Black Static, The Best of the Bellevue Literary Review, Realms of Fantasy, Talebones, Not One Of Us, Andromeda Spaceways Inflight Magazine, Lady Churchill’s Rosebud Wristlet and many more. His contemporary fantasy novel, A Most Unruly Gnome, won the 2009 First Coast Novel Contest. Two collections of his stories (all previously published by various mags and ‘zines) are available through Amazon, Flights of Fantasy, and Reality Checks. The complete catalog of Black Gate Online Fiction, including stories by C.S.E. Cooney, Vaughn Heppner, E.E. Knight, Jason E. Thummel, Gregory Bierly, Judith Berman, Howard Andrew Jones, Dave Gross, Harry Connolly, and others, is here.